Released earlier this month with the eleventh volume of the manga, Deadman Wonderland’s OVA features an original episode centering around Kiyomasa Senji’s past as a police officer. It provides an interesting glimpse into his pre-Deadman life, something that I’ve been curious about after seeing the images in the ending sequence. Continue Reading "Deadman Wonderland – OVA"
Nagi finally goes “sane”, i.e. maximum rage, and starts ripping the guts out of peeps left and right, much to the delight of Genkaku. Continue Reading "Deadman Wonderland – 12 (END)"
Ganta admits his weakness, wimpiness, and pathetic-ness and resolves to become stronger and training with Crow. Now that is the attitude I was looking for and it certainly elevates him at least somewhat to a proper protagonist. Continue Reading "Deadman Wonderland – 11"
A lot of the characters on the “good guy” side seem weak and inexperienced, and in the brutal environment of Deadman Wonderland, their naivety and lack of intuition is really taking a heavy toll. 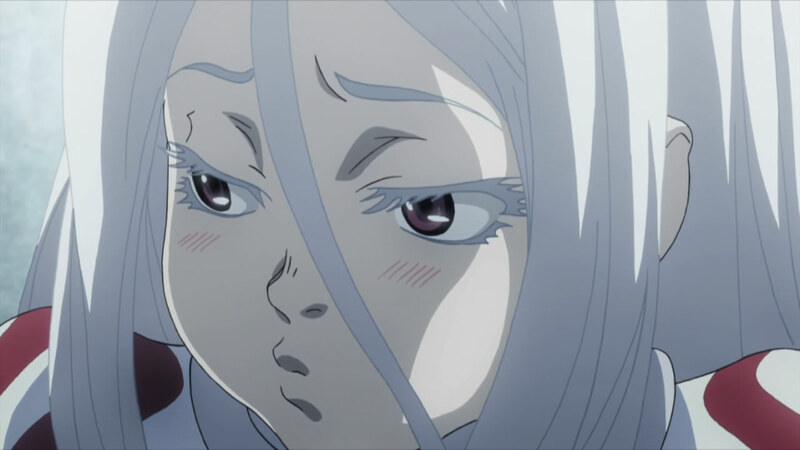 Continue Reading "Deadman Wonderland – 09, 10"
Continue Reading "Deadman Wonderland – 08"
Shiro finally shows a very scary side, and even her voice and demeanor has completely changed. Just like pretty much every other person in Deadman Wonderland, first impressions are very misleading. Continue Reading "Deadman Wonderland – 07"
Takumi Minatsuki (Nomizu Iori) has shown up — the deadman I was looking forward to seeing the most. Her front is really fun to watch, looking so dam sweet and adorable. 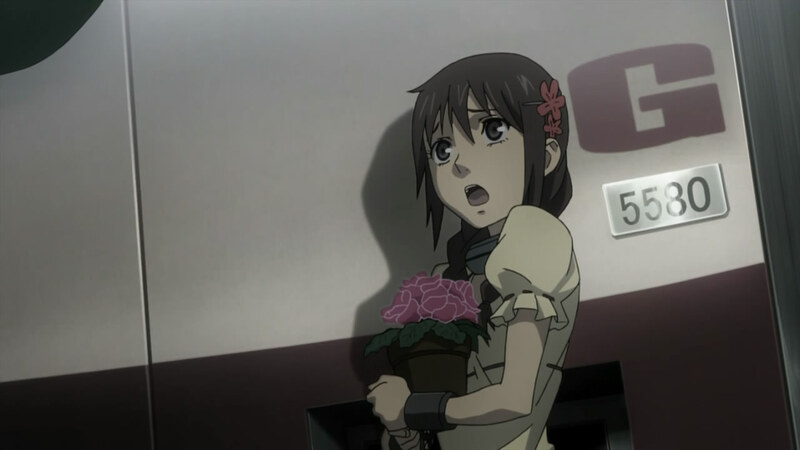 Continue Reading "Deadman Wonderland – 06"
This episode racked the cruelty level several notches though. Pity for for the characters. Even though I knew what was going to happen already, some scenes were still quite unsettling. 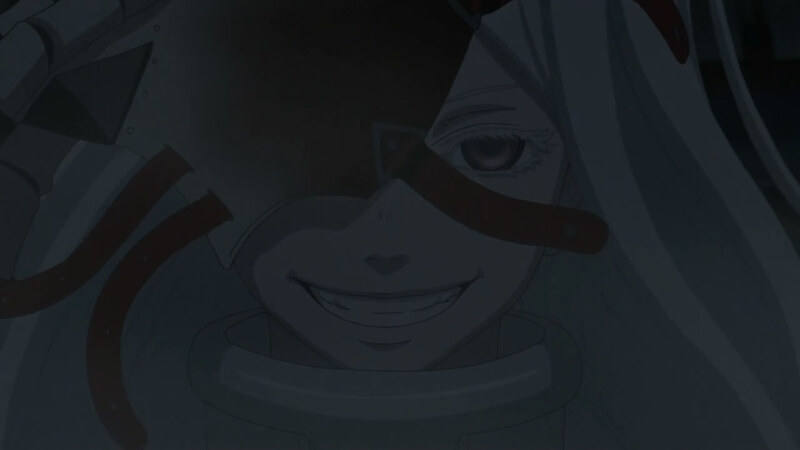 Continue Reading "Deadman Wonderland – 05"
So dark yet so awesome, but it sure is hard to take good screencaps. Continue Reading "Deadman Wonderland – 04"
Everything that Shiro does runs completely against the dark mood of this show. She seems pretty oblivious to what’s going on (or just chooses to ignore it) and just lives in her own little world like a young kid. Continue Reading "Deadman Wonderland – 03"
There’s a psychotic opening sequence included this week, showing a lot of red and featuring some of the other deadmen, plus a little fan-service for both guys and girls. 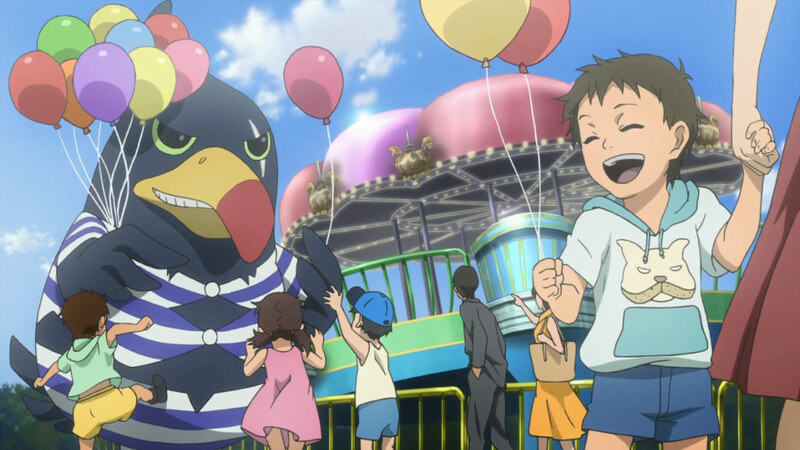 It fits pretty well with the dark themes in the series and the demented amusement park (even if there’s no reason for a costume to smile like that). Continue Reading "Deadman Wonderland – 02"
I didn’t know about this series before, but after burning through 40+ chapters of the manga in a day, I was sold and was excited for the anime adaptation to come out. My main fear was that there would be excessive censoring because it’s TV anime, not DVD or theaters, and also that the one cour may not be enough. There’s quite a bit of material and getting cut short would be no good. Continue Reading "Deadman Wonderland – 01"